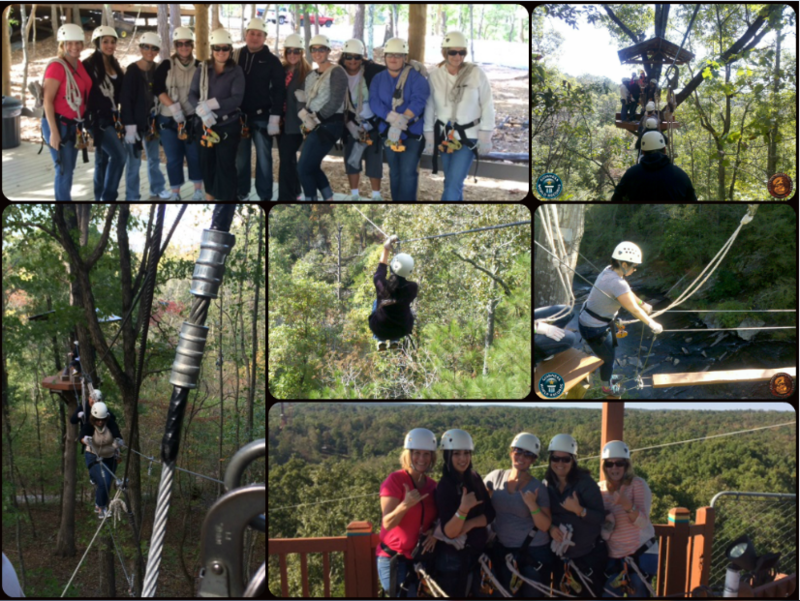 Our Georgia and North Carolina Property Managers recently enjoyed an awesome team building event for their Q4 meeting! The group visited Banning Mills Adventure site outside of Newnan, GA and jumped into the adventure of a difficult group challenge! The property managers progressed through a series of several levels of zip-lining, hiking, climbing, and rope walking of increasing difficulty. Throughout the process there were many encouraging words and conquered fears! Three hours later a brave group of five were able to emerge victorious having completed all levels of the challenge! Way to go! Everyone had a great time and is looking forward to tackling their next outdoor adventure: white water rafting! Way to step up to the challenge and face those fears as a team! A big congrats to all the participants!